As it is often said, anything that has a beginning will definitely end one day, the same saying has played out in the State of Osun, Nigeria. Gov. Rauf Adesoji Aregbesola has finally vacated office as the Governor of the state after successfully completing two terms which culminates into eight years and Governor Gboyega Oyetola has just been sworn under the same party, the All Progressives Congress (APC). There were 48 gubernatorial aspirants for the elections which took place on Saturday, September 22 was rendered inconclusive by the returning officer of the Independent National Electoral Commission, Prof Joseph Fuwape, and the rerun elections that took place in seven units on Thursday, September 27. 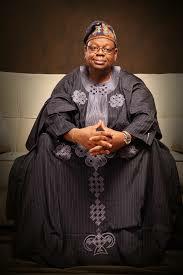 The keenly contested election was between Gboyega Oyetola of APC and Senator Ademola Adeleke of the Peoples Democratic Party (PDP). Gboyega Oyetola eventually led by a small margin at his first experience of vying for an electoral position. 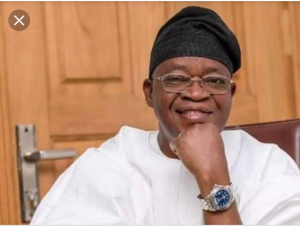 The man, Oyetola served as the Chief of Staff to Aregbesola for eight years, he can be considered as one of the backbones of the just concluded administration. This move can be akin to that of the leader of the APC, Chief Bola Ahmed Tinubu, the Jagaban of Borgu who was succeeded by Babatunde Raji Fashola, SAN. However, some people are of contrary opinion, they believed that Oyetola was just the anointed candidate of Aregbesola. In spite of all hurdles, he eventually occupied the seat as desired by his predecessor. Although, Oyetola’s name have not been well known in the Nigeria’s political circles, but history has it that he has been playing active roles in Osun politics for over 20 years, and he has been achieving political feats without attracting attention to himself since 1997. It must also be noted that Oyetola happened to be among fellow politicians who formed the defunct Alliance for Democracy, AD in 1998 and he also played a significant role in the state of Osun when Action Congress of Nigeria, ACN was also berthed in the state and he never contested for any political office until the party made a coalition with other parties to form All Progressives Congress, APC, on whose platform he eventually won the gubernatorial election. Oyetola, who turns 64 few days after the gubernatorial election is a graduate of Insurance from the University of Lagos in the year 1978 and he bagged his Master’s degree in Business Administration in the year 1990 from same institution. He is an Associate of the Chartered Insurance Institute, London and Nigeria and a member of the Nigerian Institute of Management. Before coming into public sector, he worked at Crusader Insurance as Underwriting Manager, Corporate Alliance Insurance as Controller Technical, before he left to set up Silvertrust Insurance Brokers in 1990. Oyetola is the Executive Vice Chairman of Paragon Group of Companies with interest in Oil and Gas, Real Estate, and others. He was appointed by Aregbesola as the Chief of Staff in 2011. As the Iragbiji born politician will start to administer the state right from now, Nigerians are on the lookout for the strategic ways in which he would bail the sate out of the loans incurred in the process of building the state in the last eight years; the projects that he would embark upon and lastly if he would also take the state to greater heights like BRF did in Lagos State. The people of Osun have been yearning for good governance with people oriented programmes. 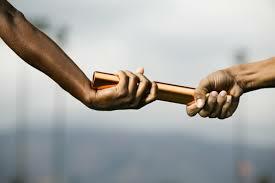 We hope the promises made to them during the electioneering period will be fulfilled beyond rhetorics. The time has started ticking off, we hope that his experience in both the private and public sectors will eventually make the state grow in leaps and bounds beyond the accomplishments of his predecessors.